Control sound in style. 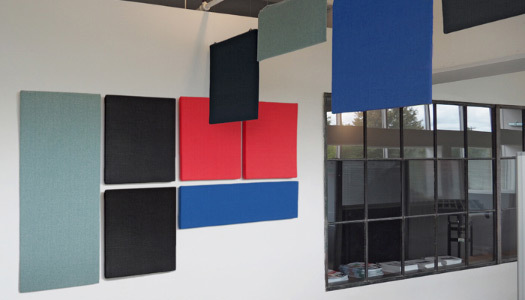 Our eco-friendly acoustic panels dampen sound and eliminate excess room noise. Our premium, made-in-the-USA sound panels are a stylish way to control acoustics in any space. Dampen sound while improving area aesthetics with over twenty fab fabric colors to choose from! Our Sound Stones (Wall) attach to walls to elegantly eliminate excess echo from your room. Or check out our Sound Stones (Ceiling), which hang gracefully and add visual flair to any space. Bustling offices can generate a lot of noise, especially in open office spaces or restored warehouses. 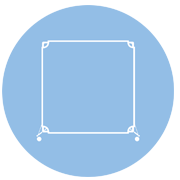 Cut down on office echo by hanging our wall-mounted or ceiling mounted acoustic panels in any hallway, meeting room, or conference room. Allow employees to focus in a quieter environment - our large variety of color choices allow these sound panels to integrate efficiently and effectively in offices large and small. Have a recording or rehearsal studio? Whatever the scope of your project, our sound panels can help improve your recordings by cutting down on echo and room reverberations. Hang our wall-mounted sound panels in your jam space, or use our freestanding Monolith acoustic panels by your studio monitors to balance audio. 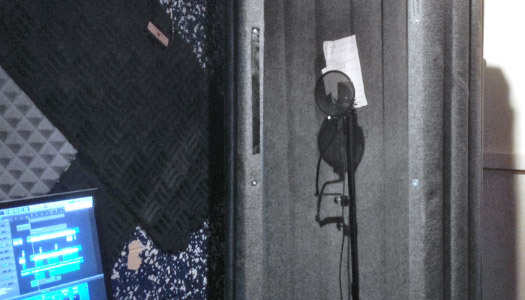 Our portable partitions, such as the VersiPanel, can even aid in creating a DIY vocal booth. A busy restaurant is great for business but tough on conversations. Simmer down your screaming patrons with a series of sound panels. Our premium sound panels are a great way to cut down on restaurant noise while improving the visual interest of the area. 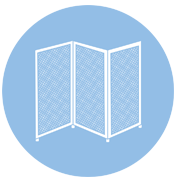 Paired with our acoustical partition walls, such as the Room Divider 360, restaurant owners can better control crowds while improving acoustics. Classrooms can benefit from noise-reduction to aid student focus and attention. 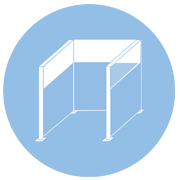 Our Work Forts are desktop privacy screens that let you turn any desk or table into a series of study areas. 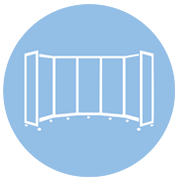 The acoustical properties allow students to focus and concentrate, while the visual barrier provides privacy for exams or special projects. Our hanging sound panels can also provide a colorful way to control sound in classroom spaces.